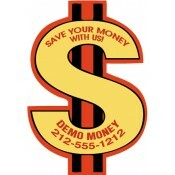 Finance promotional magnets deliver competitive advantage to finance services operating at low marketing budget. Personalized magnets offer a great advantage to marketers who wish to promote their business effectively at a low budget. Full-color custom magnets easily gain footage over refrigerator doors and other visible places around the home, thereby lending long-term visibility. 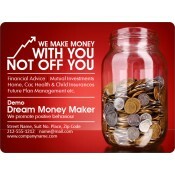 Start-up finance services can always order these advertising magnets in bulk and save on the investment. 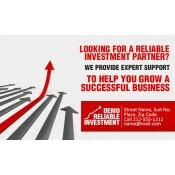 Finance services always have to work hard to build their business credibility. 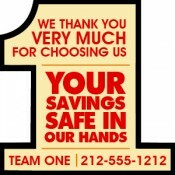 People are very particular about selecting a financial service which offers them best value on their money. They always rely on referrals and other reliable sources to arrive at the right conclusions. Post-recession many financial services fizzled out of the scene due to financial backlogs and many are still struggling to find quality clients. With changing industrial scenario, financial services are forced to manage transparency with their dealings and strike conversations with their customers on one-to-one basis. This is why they are largely employing financial promotional refrigerator and car magnets among others for initiating individual conversations. People have a penchant for colorful promotional magnets and they are bound to retain it over their refrigerator doors as long as it loses its charm. 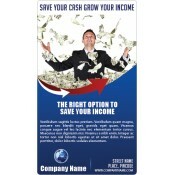 Financial services magnets printed with colorful logos and business information are sure to grab attention of clients with their versatility. Even regular viewing may inspire a client to refer the business to some of their colleagues who are seeking services of a reliable financial advisor or a business. We offer great savings in form of free art setup, free online design proof, free full-color printing and free shipping. Financial services understand the importance of playing around with colors to affirm their subjects. They can use as many colors as they can for positioning their business information. This full color visibility is sure to bring them closer to their clients and build credibility for their business. Whether it is a start-up financial service, a freelancer offering financial consultation or an established franchise looking for a credible promotional item, we have answers to all. 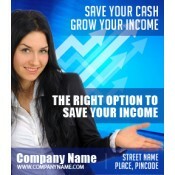 We offer a large selection of promotional finance magnets for marketers in all budget sizes. In addition, we have devised several tailored pricing plans for marketers who wish to buy these best-selling advertising magnets for bulk distribution. To know more about special pricing, customization, shipping and other details of these financial customized magnets, feel free to contact us at 855-762-4638 or write to us at info@cmagnets.com.